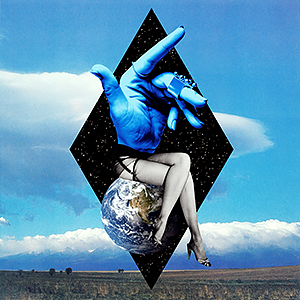 Clean Bandit continue their run of twice yearly carefully networked collaborative singles engineered to blow up on streaming, with Solo featuring Demi Lovato coming seven months after their Julia Michaels collaboration. Exciting! This should be good. So, Demi had two collaborations coming out next week: this one + the one with Christina. She’s doing it well. Fully hype for this. I think CB and Demi will be a solid fit! Demi is like the bike of 2018. Another Clean Bandit that’s going to be HIDEOUSLY overplayed no doubt. They need to up their game again after I Miss You. Please let this be cross between Symphony and Cool for the summer. That would be wonderful. Clean Bandit have a couple of really good singers they tour with. Wish they'd use them on a track for a change, rather than constantly using guest vocalists all the time. It's a bop. Finally a song her awful voice didn't manage to ruin. I like it. I kinda wanted another tears but I'm here for this. This is definitely intriguing on 1st listen; potential song of the summer? This will be big. Really big! I WANNA F---WOOP WOOP WOOP! Also her Jax Jones collabo and she scored a hit with Cheat Codes in some EU countries. She’s doing really well. Demi sounds great on 'dance' tracks too! I'd love to see her have maybe a house track on her next album! This is catchy! Good stuff for Clean Bandit on this one! This is great. Her best feature along with Instruction.